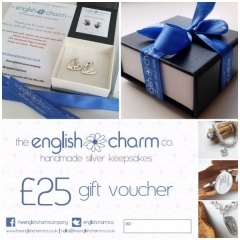 Its Mother's Day soon Sunday 31st March. 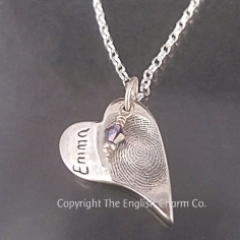 Give her something different, completely personalised and unique this year ! 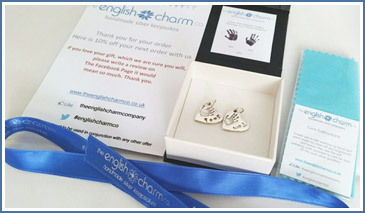 The English Charm Company is an independent keepsake business, based in Basingstoke, Hampshire. 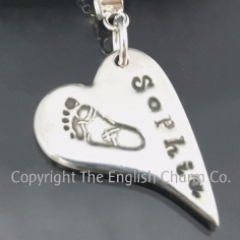 We make bespoke handcrafted silver keepsake jewellery, as well as 2D and 3D baby hand and foot casts. 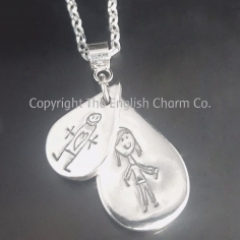 All of which make ideal gifts for weddings, christenings, birthdays and Christmas. 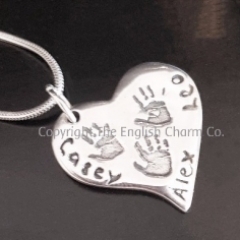 Our range of beautiful keepsake jewellery can feature your baby’s or young child's fingerprint, handprint, footprint or even a special drawing or handwriting, on your own handcrafted 99.9% silver charm. 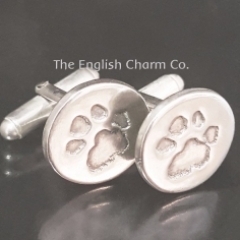 We can even create an everlasting memory of your much-loved pet using their miniaturised paw prints. 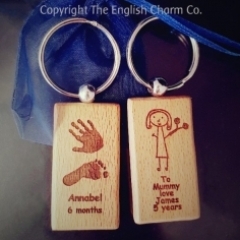 These beautiful personalised keepsakes capture a cherished moment, for you to keep for a lifetime or to give as a unique present. 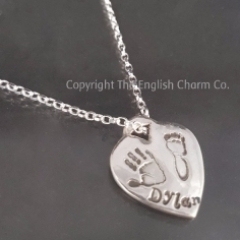 Our range of 2D and 3D baby hand and foot castings capture your baby's tiny hands and feet in a perfectly framed gift. 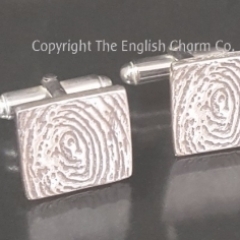 Adult and baby hands entwined castings evoke a special emotion, which you will adore. 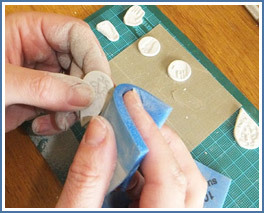 We also do family wreath of hands casts, so please get in touch and we will be happy to discuss your requirements. Visit our creative studio in Hampshire to browse our range of products. 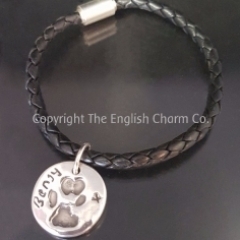 We are open to browse and take impressions on the day for orders. Appointments can also be done in the comfort of your own home, or capture your own prints go to how it works for details. 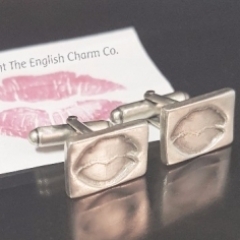 personalised cufflinks - "silver with a kiss"
View our profile on Jewellery Designers UK. 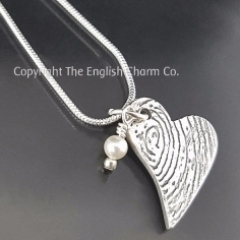 We are a member of the Keepsake Guild which means that we adhere to a code of practice. 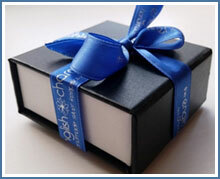 The Guild expects its members to provide a standard and level of professionalism on which customers can rely.